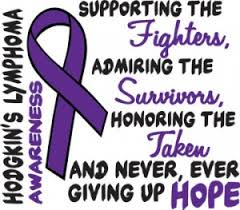 It is really so humbling to realize, I am approaching 30 years of survival from Hodgkin’s Lymphoma. It is humbling because 30 years ago, you did not hear very often about people surviving cancer. It is humbling because of the many health issues that I have had to deal with, as late side effects, not known possible at the time I was treated, have often left me feeling worse than the cancer itself. It is humbling because of all the wonderful people I have met over the decades of my survivorship. It is humbling because of the many fellow survivors I have had to say goodbye to, either the disease, the treatments, or the late effects too much to take. It is humbling because my daughters are coming to an age, that while they were not there during my treatments, they are faced with my care in the future for my late side effects. It is humbling, because I never thought I would be writing this, nearly 30 years from my diagnosis.